With the launch of the New 2DS XL there are now six models in the Nintendo 3DS range, with each offering something a little bit different, and with loads of these models getting serious 2019 discounts, now is a great time to pick one up. And, arguably, the New Nintendo 2DS XL is what the 3DS line should have always been – there’s no gimmicks here, just a combination of great hardware and software. As such, if you aren't fussed about 3D, then the New 2DS XL is the perfect entry point into the incredible and quite frankly adorable world of Nintendo. If you are looking for a great deal on the New Nintendo 2DS XL then keep an eye on this page, as we are constantly bringing you the best New Nintendo 2DS XL deals. 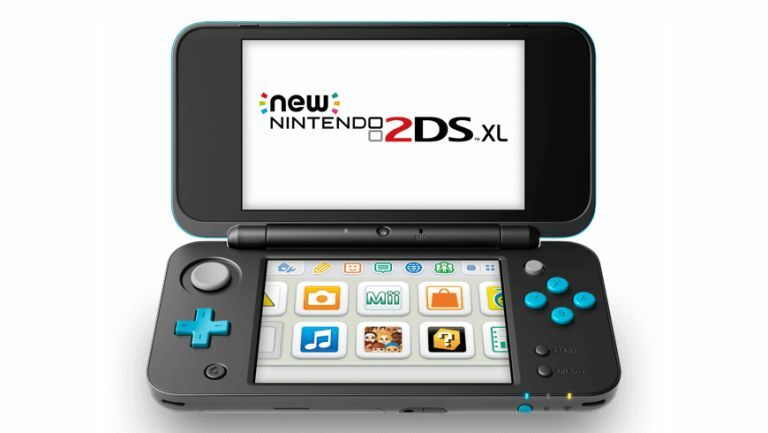 The New 2DS XL, the newest entry to the 3DS family, is now firmly lodged in the market and widely available. The wedge design of the first 2DS has been ditched for the traditional clamshell form. We think this is much more appealing for grown-up gamers. There's no 3D (hence the name), but you get to enjoy a huge screen and the upgraded tech inside first seen in the 'New 3DS range.' Better still, it's cheaper than the regular New 3DS XL.